The sudden eradication of the entire Husnock race left its many outposts vacant. Various affiliations take advantage of these available facilities. Seed at any location. You may seed one ❖ Husnock Ship face up here. 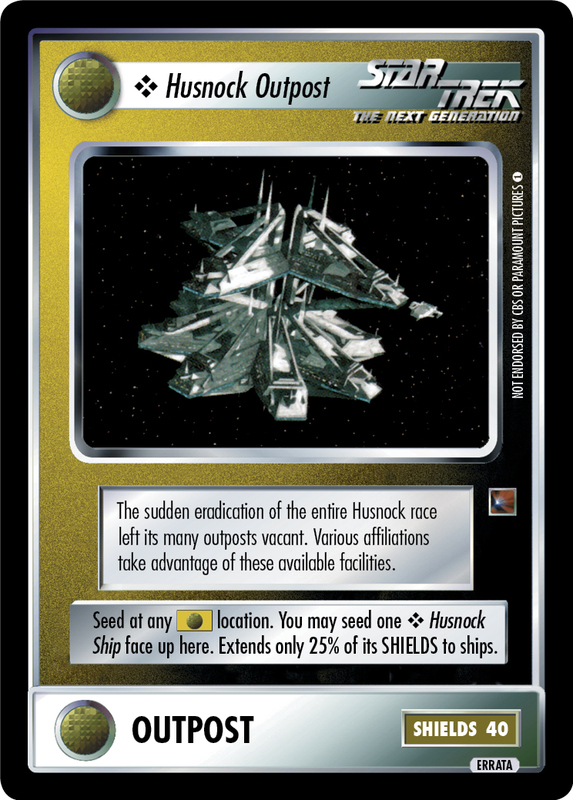 Extends only 25% of its SHIELDS to ships. Image Source: Other Sources: "Computer Generated Images"